November is the month where we highlight two very important subjects: Alzheimer's disease and family caregiving. In 1983, President Ronald Reagan was the first president to designate November as National Alzheimer's Disease Awareness Month, while President Bill Clinton first designated November as National Family Caregivers Month in 1997. Why Shine the Spotlight on Alzheimer&apos;s Disease? More than 5 million Americans have Alzheimer's disease, and all Americans are affected by it, either directly or indirectly. This includes those who have been diagnosed with it, who are experiencing symptoms but haven't yet been diagnosed, those who know and love someone with Alzheimer's disease, and everyone else due to the incredible amount of money our country spends on care and research related to the disease. Alzheimer's disease (and related dementia) is the only one of the top 10 causes of death in the United States that we don't have a way to effectively cure or treat. In fact, one in three seniors dies with Alzheimer's or another dementia. Although there are a few medications that have been approved by the Food & Drug Administration to treat it, they are quite limited in their effectiveness. Thus, more funding is needed for continued research. Additionally, Alzheimer's disease is one of the most expensive conditions in our country, according to the Alzheimer's Association's annual report on 2017 Facts and Figures. How much does it cost? Annually, it's estimated to cost $259 billion, including direct and indirect costs. Why Shine the Spotlight on Family Caregivers? According to the RAND study, people in the United States spend 30 billion hours providing care for family members. These caregivers average about 20 hours a week and their work is valued at $522 billion a year. Family caregivers are often juggling multiple roles, including that of partner, parent, adult child, and caregiver. Sixty percent are also in the workforce. They're managing their own health along side that of another person. Without family caregivers, we would have millions of people unable to function and without care. Our already-strapped financial and healthcare systems would further deteriorate. And, our loved ones would not have the benefit of being cared for by their family members. 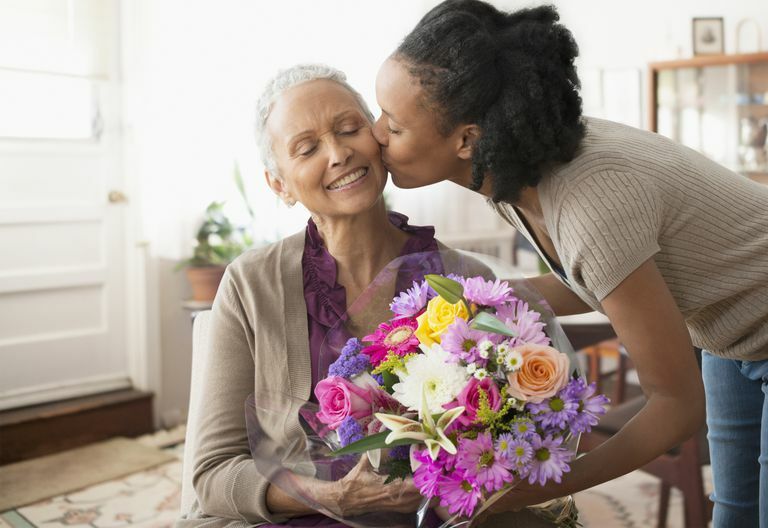 While some caregivers intentionally choose to provide care for their loved one, other may feel that they have little to no choice about doing so. This may be related to cultural expectations, limited knowledge of options or a lack of resources. These caregivers, along with all others, are in need of support and encouragement. Fatigue and stress from being a caregiver can contribute to burnout, and burnout increases the risk of abuse or neglect. Family caregivers are a group of people who deserve our support and encouragement as they go about an often-unseen job of caring for their loved ones. What Good Does "Increasing Awareness" Do? Do you ever wonder, "What's the point?" Or, are you thinking, "It doesn't make much of a difference?" Here's why increasing awareness can help. When people are informed about something, they begin to pay attention. They listen a little more intently when federal budgets are being discussed, they may realize some of the challenges their neighbor faces as he cares for his wife with Alzheimer's disease, and they might be more willing to financially support organizations that assist caregivers or others that conduct research on Alzheimer's disease. Say something. When you have the opportunity, share your experience or thoughts. A personal story often has much more power than general facts. Share an article about Alzheimer's or caregivers on social media. Coordinate support for a friend or neighbor who has dementia or is a caregiver. Visit someone with Alzheimer's disease. Vote for people who are committed to supporting those with Alzheimer's and dementia, as well as their caregivers. Can Chinese Club Moss Help Treat Alzheimer's Disease?